Most road-trippers zip past Mt. Shasta on their way to the Oregon Coast. Here’s what they’re missing: stair-step basalt cliffs, moss-lined waterfalls, and wildflowers that bloom all summer. 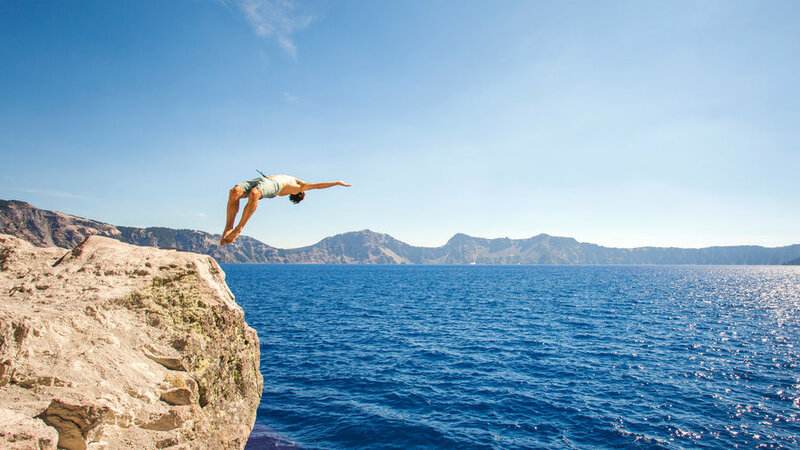 California’s fifth-highest mountain is considered a potentially active volcano, which sounds terrifying until you find yourself floating in a pristine plunge pool on a 90° day beneath the shade of a snowcapped peak. 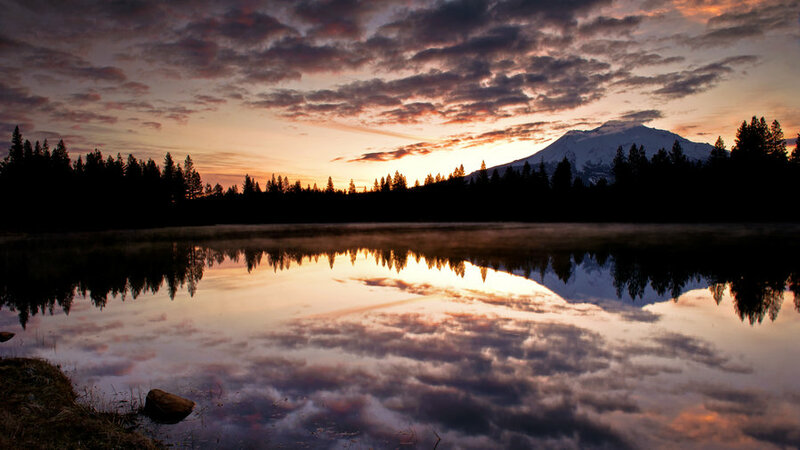 Geologists believe Shasta has erupted only 10 or 11 times in the past 3,400 years. In other words, float on. You’ve got time. Welcome to the land of choose-your-own outdoor adventure. Up for a vigorous hike? 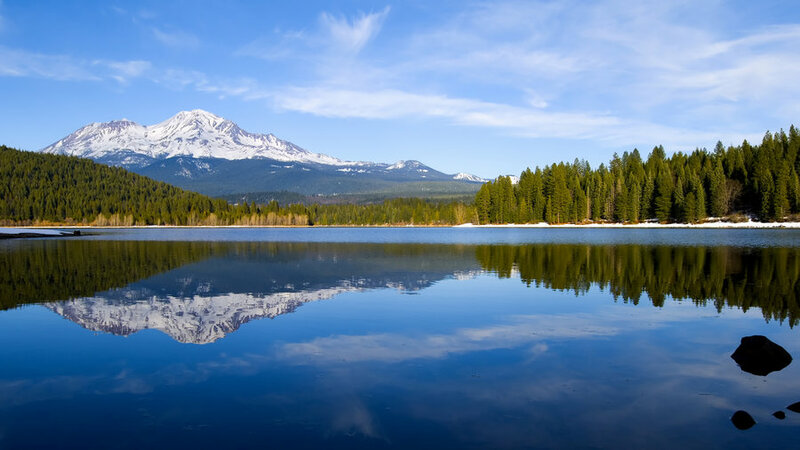 Shasta’s Panther and South Gate Meadows have all the mile-high air and lupines you can handle. West of town, set into a cliff-lined basin, Castle Lake (pictured) draws a mellow crowd with its pebble beaches and shallow water for paddleboarding. 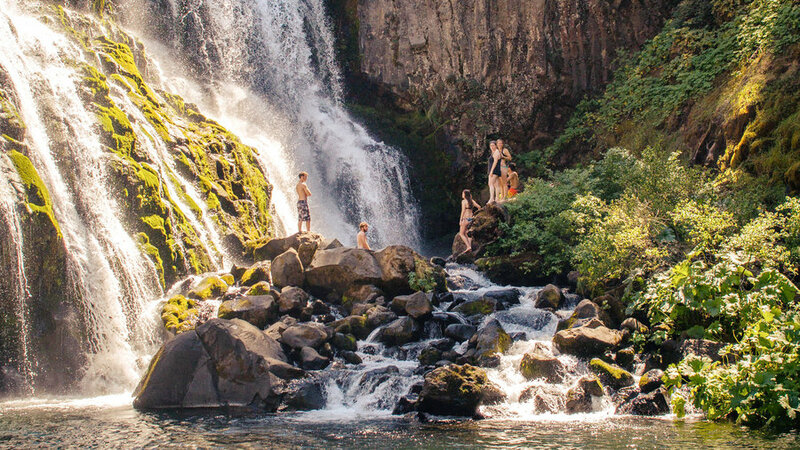 McCloud Falls drops you into a warren of unpeopled swimming holes. 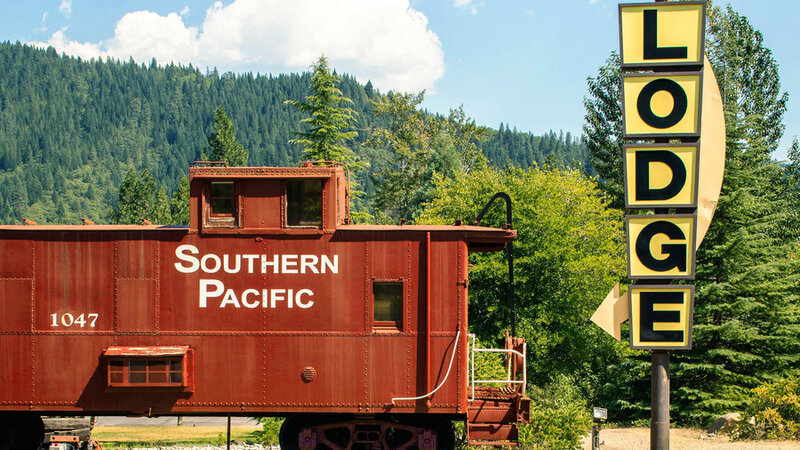 South of the mountain, Dunsmuir’s ’s 22 cabooses and boxcars turned private cottages come with access to the pool, nearby hiking trails, and the locomotive cocktail lounge. From $135. At , Sinatra croons, red vinyl booths shine, and the wood-paneled walls seem straight out of 1920s Little Italy. 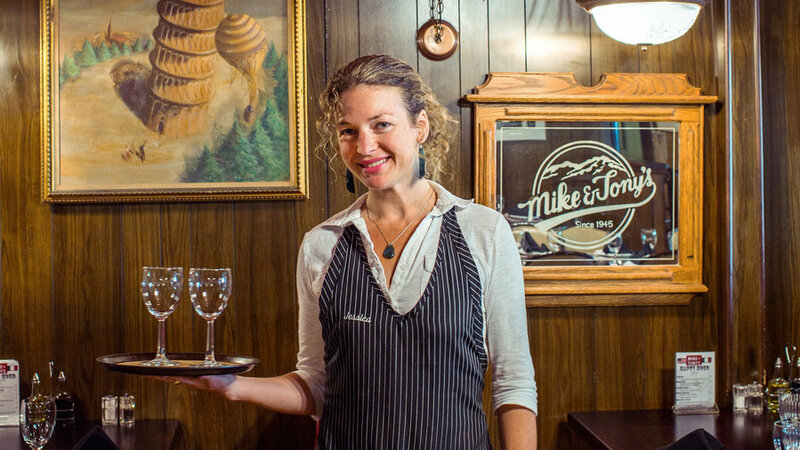 The food is no-frills but solid: housemade gnocchi, spaghetti and meatballs, veal picatta. It’s hard to believe that just an hour’s drive from the fir-shaded cool of the Cascades lie the sun-bleached tumbleweeds of Eastern Oregon’s high desert. Suddenly a new landscape reveals itself, where evergreens give way to wide-open alfalfa fields and one of North America’s longest exposed fault scarps. Beneath it all bubbles a network of natural hot springs, where Native Americans and cowboys once soaked. Not much has changed since then. The towns are still sparse; the tourists too. It’s an area where you can chat up a local at a random saloon—the rocks aren’t the only things with a tale to tell. 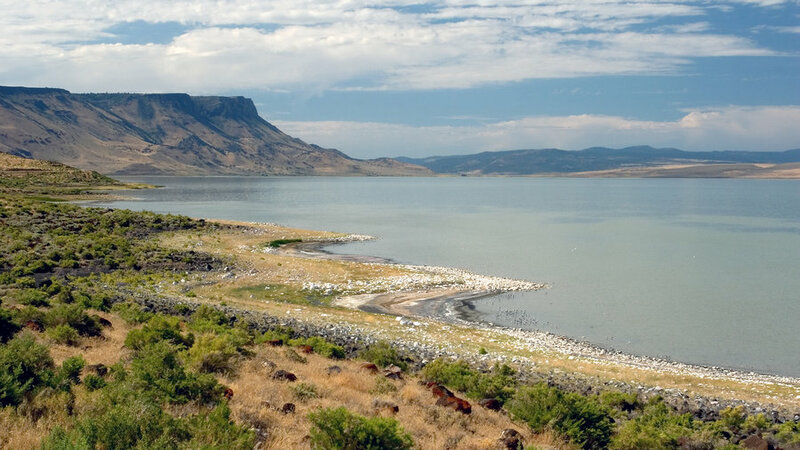 A few miles east of Paisley, Lake Abert stretches into a shimmering mirage. The lake nearly dried up in recent years due to reduced snowmelt, but a recent wet winter zapped it back to life. 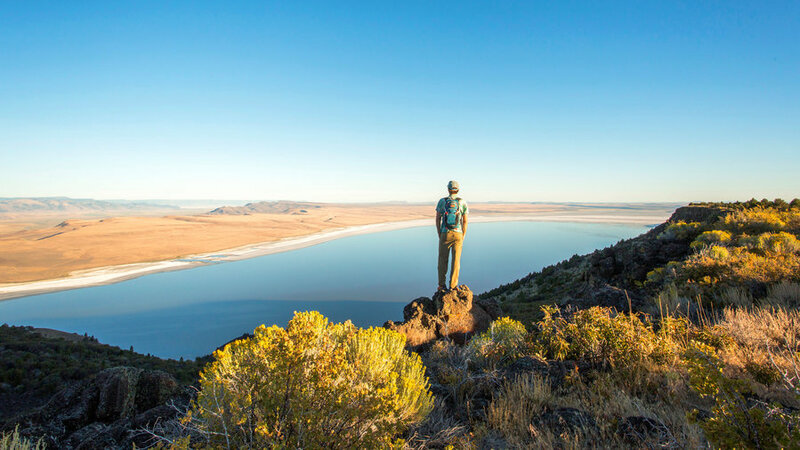 Walk onto the lake's squishy white lakebed at sunset when the heat’s gone and the 2,500-foot volcanic cliffs of Abert Rim light up orange. Pretty much everyone who comes to Oregon’s —some 600,000 visitors a year—does the same 33-mile drive around the rim. They park, point, click, and continue to the next lookout. And who can blame them? 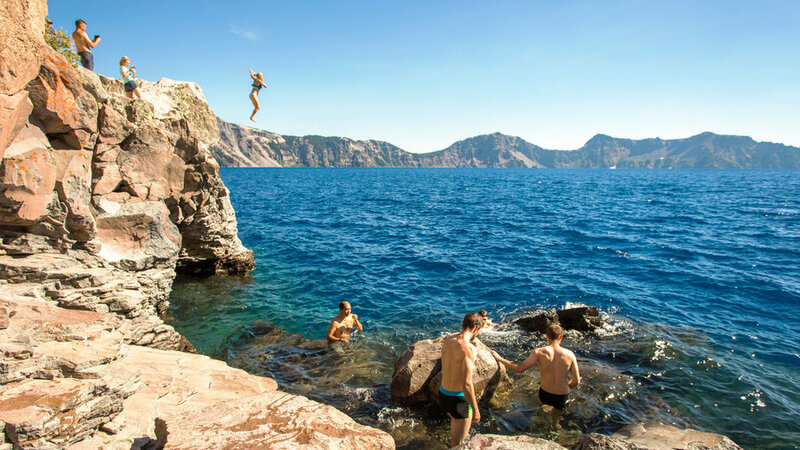 The deepest, bluest lake in the country, carved 7,700 years ago by the collapsing peak of Mt. Mazama, is a wallpaper-worthy photo op at every turn. But to truly appreciate its awesomeness, you have to ditch the wheels and take a head-clearing hike in the park. to the summit of Mt. Scott (pictured), the area’s highest peak, which erupted a few hundred thousand years ago. There are no kayaks or SUPs, or even wetsuits, strangely enough, permitted on the lake. But the park offers to Wizard Island. 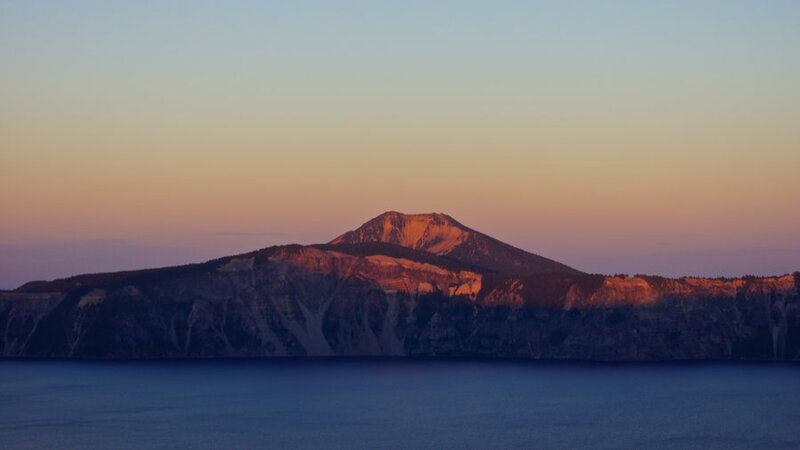 For three hours, you can explore its volcanic shoreline or hike up the loose pumice rock to the mini crater. 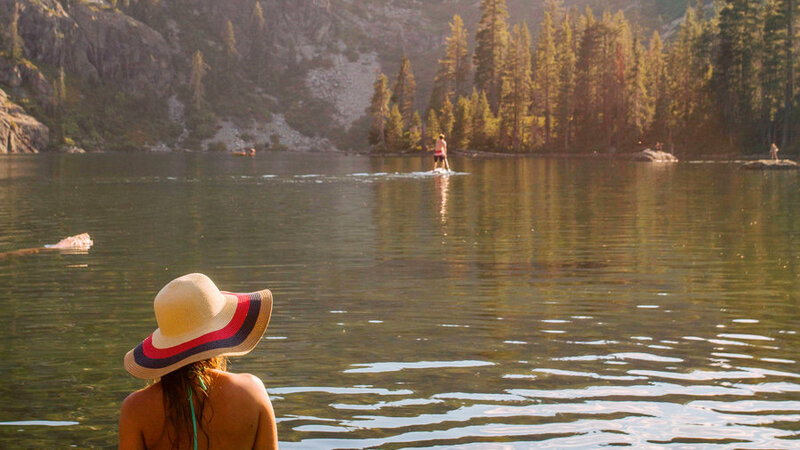 Dish out $10 for a day pass to Lake Siskiyou Beach and Camp, whose main beach looks across Shasta’s west face. If you’ve got a tripod, wait around for the night sky to darken and reflect stars off the water. At sunset, post up at one of the lookouts on the northwest section of Rim Drive, and linger until well after the sun’s gone, when the lake and sky share the same shade of lavender. 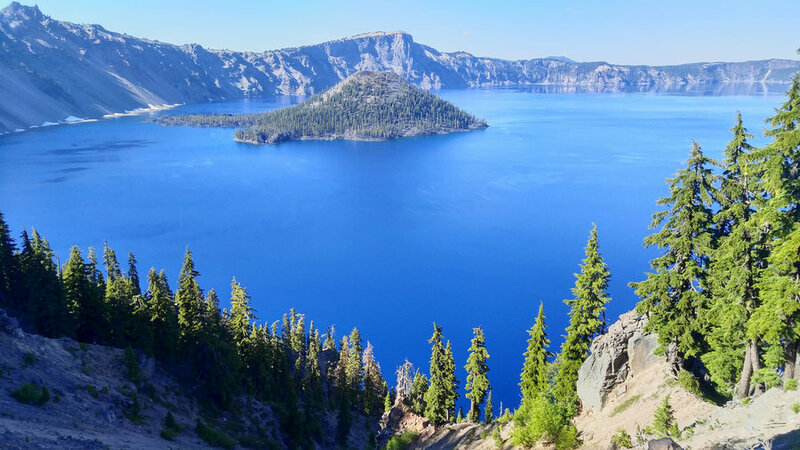 Crater Lake gets its freakishly blue color because of its depth (almost 2,000 feet). Light rays penetrating that deep get absorbed by water molecules that scrub out all the colors in the spectrum except blue. 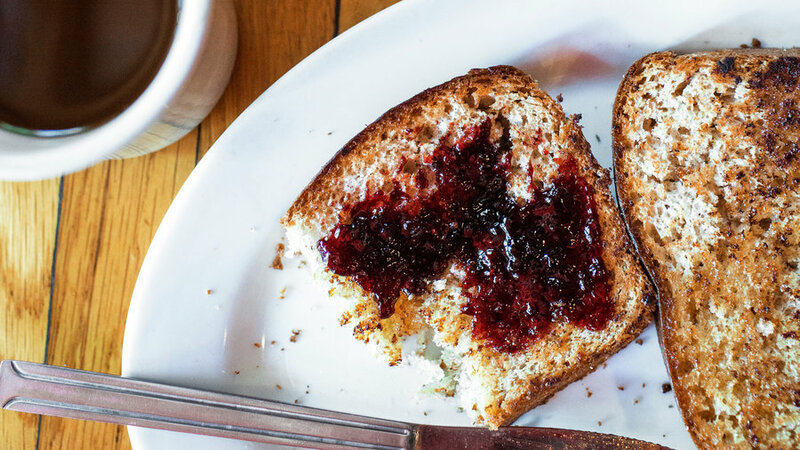 Pull over in Prospect to , a roadside diner so American, it should be written into the national anthem. The 1915 Crater Lake Lodge is gorgeous, but it can book up months in advance. Thirty minutes to the west, on State 62, you’ll find , a way station along the Rogue River that has rustic cabins. 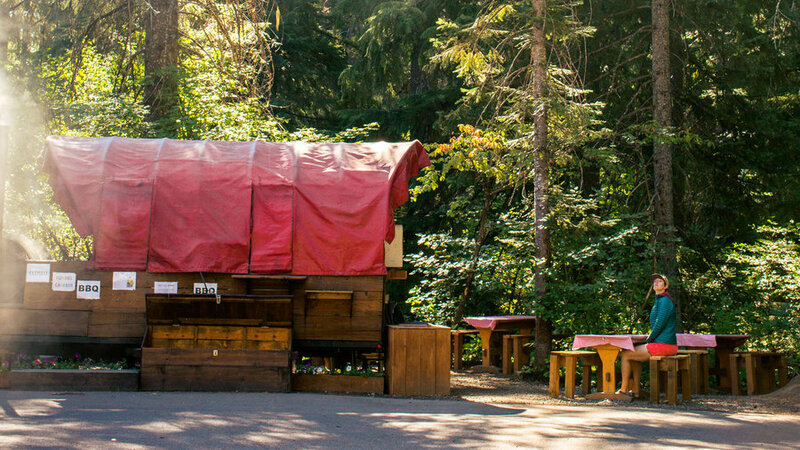 The onsite Barbecue Chuck Wagon (pictured), with its tasty offerings and adjacent picnic tables, makes for a great alfresco dining spot.